In a surprise drop, Guacamelee! Super Turbo Championship Edition has launched on the Nintendo Switch today. The game originally came out for last gen consoles, including the Wii U. It retails for $14.99 and features a unique art style and Metroidvania gameplay. The sequel, which came out on PS4 and Xbox One in August, is now confirmed for the Switch and is scheduled to release this December. The first game is a fun time and definitely a welcome addition to the Switch library! 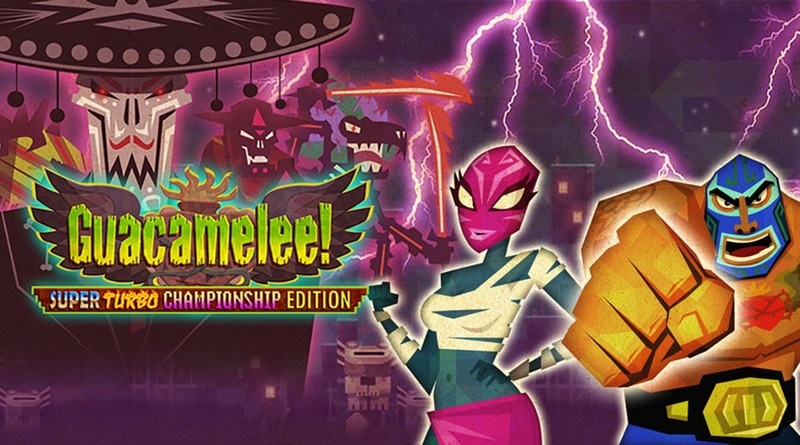 The STCE version of the classic indie 2D brawler/platformer includes all the additional content that was released for the original Guacamelee! PLUS additional levels, bosses and powers. Guacamelee! STCE is basically the Iron Man of the Mexiverse — and by that we mean it’s the first of the series, and also very good. Guac up the holidays with Guacamelee! 2 on the Nintendo Switch! Get your Joy-Cons out of that Switch and play the game with up to 3 friends or strangers (we definitely recommend friends).